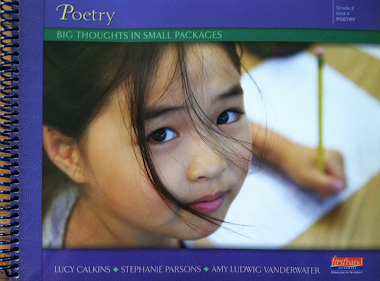 Students - I have decided to write non-rhyming poems on day 5, 10, 15, 20, 25, and 30 of this month's project. Today you do hear chime/time, but this is mostly a free verse poem, something I wish to become stronger at writing. Today's poem took thirty-three minutes to write, one of the shortest this month so far. The spark that lit it was the idea of how frequently a clock face is looked at...until it stops working. Then no one looks. How strange that change must be for a clock. In these handwritten drafts, you see the word still in the last stanza instead of motionless, which appears in the typed version. The reason for the change is that as I typed, I knew I had recently typed still. And so I did - in "Baseball Glove" - yesterday. I changed it as I do not like repeating the same words throughout a collection. If it is supposed to be repeated, yes. But if the repetition is not intentional and does not add anything to the collection, then out it goes. One thing I always revise and edit are the words the/a/these/this. It is often best not to include these words at all, but sometimes such little words are necessary. It matters greatly to me which one I use when, and so often I go back and forth, forth and back until each choice sounds just right to my listening ear. Last night I wrote in a coffee shop with Mark (he was doing taxes). Our daughter was at a movie in town, and so we listened to Tim Weir play his guitar and sing at Taste in East Aurora, NY as we worked. 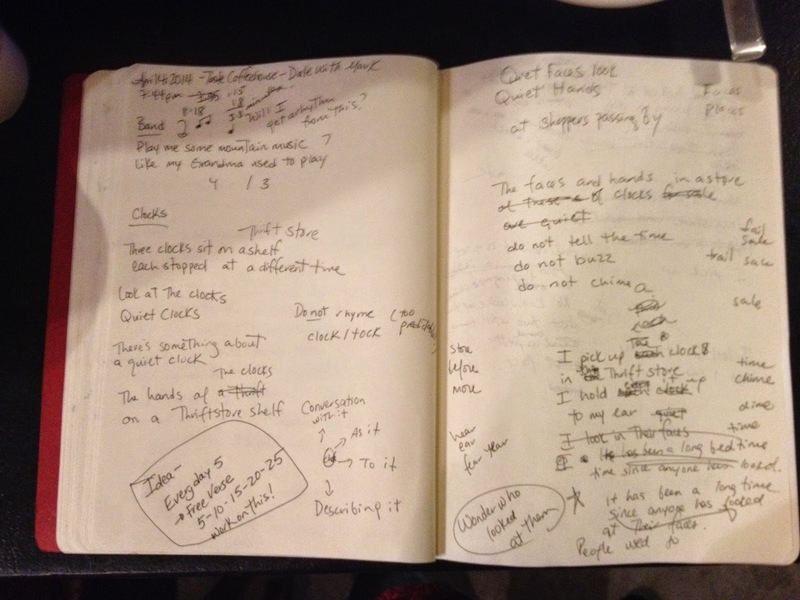 Here are the sounds of busy coffee shop writing. Through tomorrow - Sunday - you may still leave a comment and thereby enter my Post-It Note giveaway over at Sharing Our Notebooks. 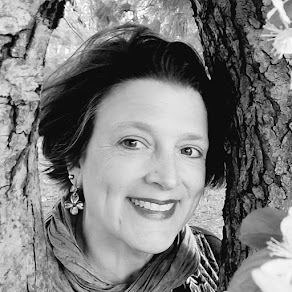 Don't miss Mary's notebook poem celebration. 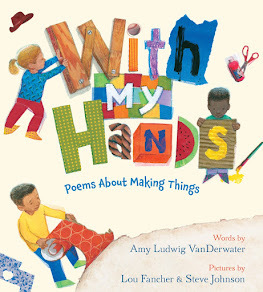 And today, I offer a giveaway of two books here: one copy of THE POETRY FRIDAY ANTHOLOGY FOR SCIENCE compiled by Sylvia Vardell and Janet Wong and one copy of my own FOREST HAS A SONG. Each Saturday of April, I will offer this same giveaway here, for eight books in all. Thank you to Sylvia and Janet for your generosity. Please leave a comment below, and I will draw two names next Thursday evening to be announced next Poetry Friday! Amy, I mostly write free verse poetry. I've never liked rhyming or trying complicated forms...I think it's fabulous that you do. Maybe I need to branch out. 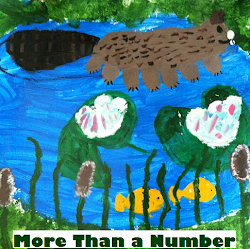 Really enjoying your National Poetry Month project.
. . . and I wish I was better at rhyme. Free verse is my cup of tea. 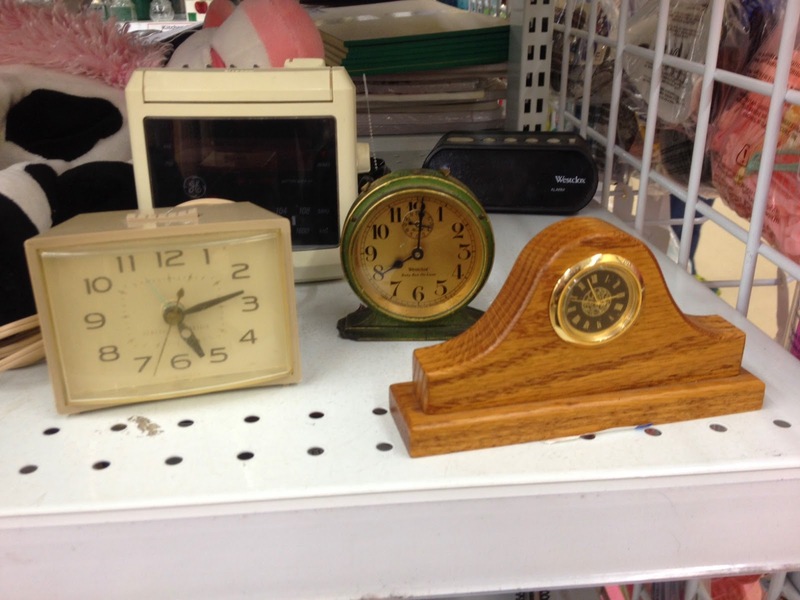 Thank you so much for sharing your Thrift Store writing. My little chickadees are talking and wondering what you will write about next. One said they wanted to go check it out so he could predict what you might write about. Thank you again for all the encouragement you have given to my young writers. I've never thought about not looking at a clock once it stopped working. This kind of reminds me of elderly people too. How many of stop "looking because they don't work anymore." Thank you for sharing your notebook. There is a lot to learn from these pages. I love the quote from your husband but I think people would notice! Clocks... Where has the time gone? I don't have our own clocks anymore, although I do have some older watches. I wonder how many kids will not be able to tell time from these kinds of clocks, and will we lose the metaphor of the faces/hands/fractions, etc. because those kinds aren't around. Love that little green one, and I love your poem too, Amy. You are good at lots of things, but those endings please every time! FYI-maybe just me, & I refreshed the page, but couldn't get your sound cloud to work this time. Amy, I am loving your poetry project! As always, you continue to be an inspiration to me ~ in writing and in shopping! 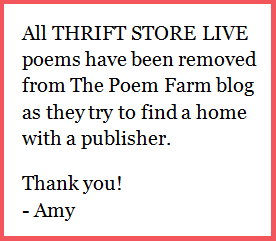 After reading your thrift shop poems and shopping adventures, I am feeling the need to visit some of our shops! Amy, I am so glad that I happened to find my way here today. Tell your husband that he is wrong -- I am transfixed by the photos of your notes! Thank you for the peek into your writing process. Tried to comment earlier but my computer ate the comment. I am so loving your ideas here! Terrific. Thrift stores are fun and your venturing into free verse will be interesting to watch. LOVE your notebook views and have shared this with many teacher friends. Should I be lucky and win your giveaways they will find their way into the hands of teachers who will use them with kids. You are super generous. 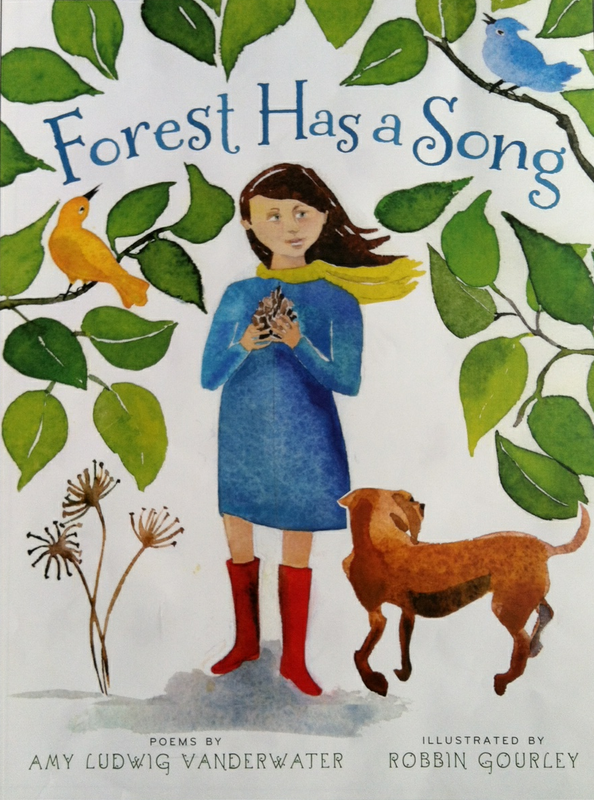 Both Forest Has a Song and the science version of Poetry Friday Anthology are treasures, like you! 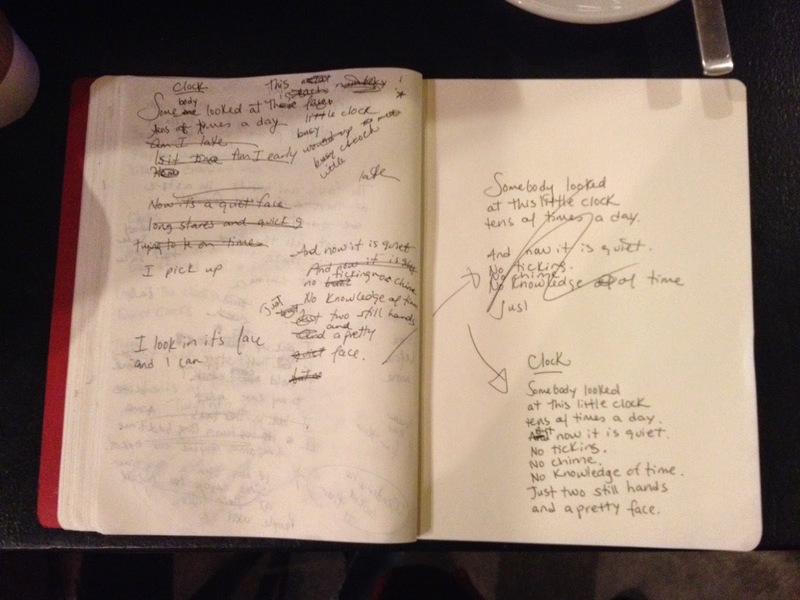 So it's probably a little bit nerdy to admit, but I love looking at the pages from your notebook and seeing how a real poet works. It's interesting to me that you think it's harder to do free verse than rhyming, I think rhyming is way, way harder to do well. Thank you for sharing all of these beautiful poems with us! I am enjoying this series so much. Thanks. I especially like the concept of being looked at so often and then not at all. I believe this happens to some people too. My class is loving your poetry! We are following along this month, and creating our own collections of poetry based on a big topic just like you have done! It is so exciting to see and hear you talk about the process of writing poetry.